The Sanctuary of the Great Gods, in Palaiopolis, was site of mysterious religious ceremonies in antiquity. 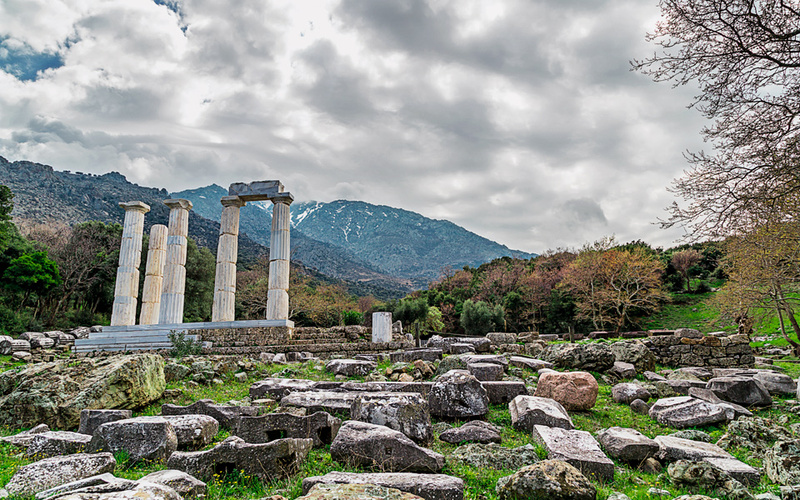 For many years now, Samothraki has been a favorite with all those seeking an alternative to the arid landscape of the Cyclades. Located in the northern Aegean, this extraordinarily green island is an ideal choice for nature lovers and anyone seeking challenging physical activities such as hiking and mountain climbing. Endless chilling out on the beach is not the thing on Samothraki. Quite the contrary, the island’s celebrated natural beauty is mainly on account of its waterfalls and vathres, the plunge pools formed between the falls and the rocks. The cool, clear water running down Mt. Saos creates a number of streams and rivers that make their way to the sea. 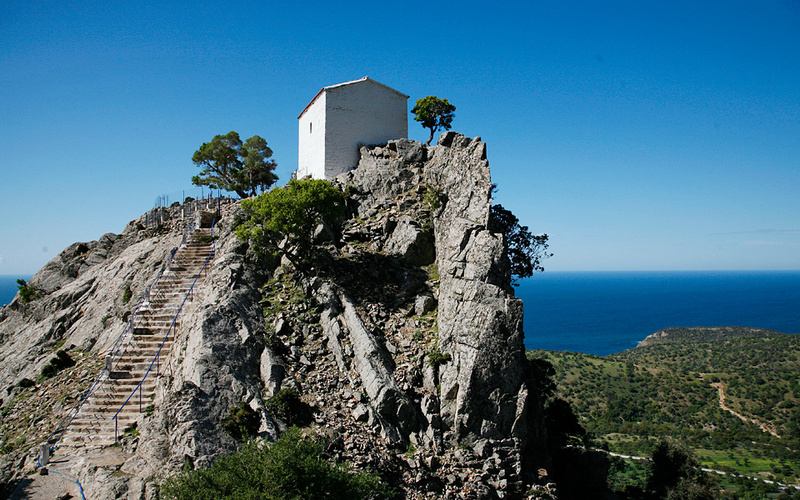 The church of Panaghia Krimniotissa, which was named after the precipice ("krimnos" in Greek), the high cliff on which it is built. On the banks of the Fonias river small and large waterfalls are formed, the most impressive of which is 35m in height and forms a lake with a diameter of 30m. Climbing up the different vathres requires great effort and skill that comes only with experience and knowledge of the area. The Fonias canyon boasts the highest waterfall, at 35 meters. Many of Samothraki’s adventure seekers who want to experience nature at its finest opt for the municipal campsite that provides only basic amenities. Groups of young people as well as families set up their tents in the cool shade of the campsite’s trees. 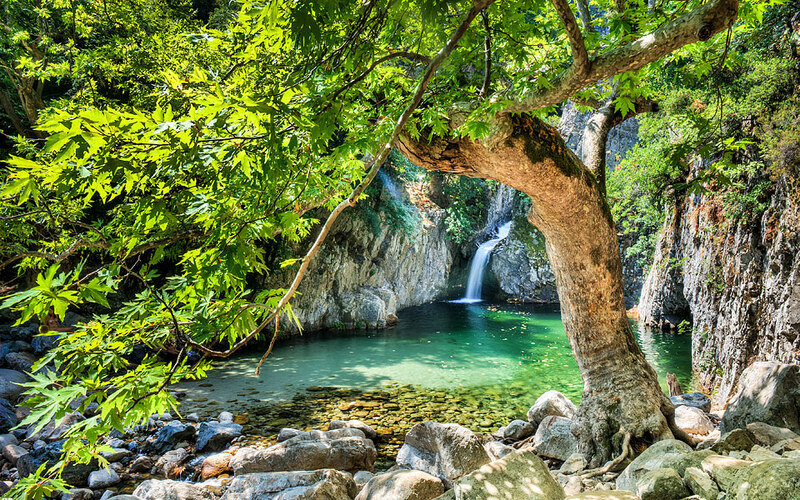 But there is more to Samothraki than its forests and waterfalls. 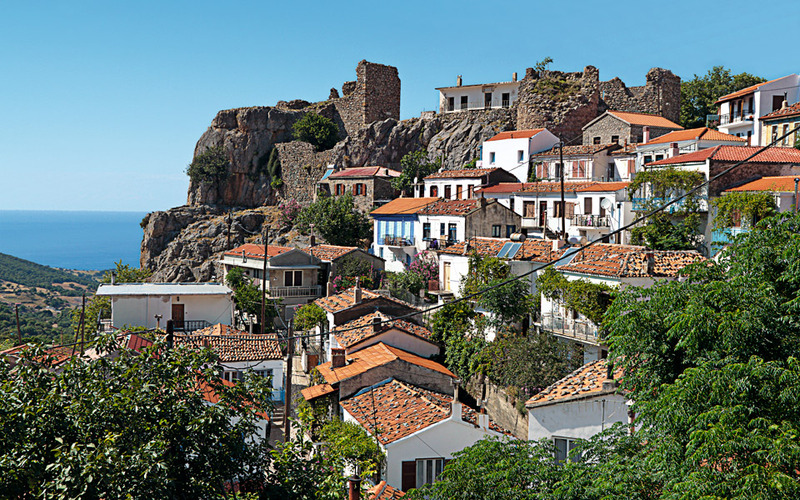 The main town, Hora, offers some breathtaking views and the local cuisine is mouth-wateringly delicious. And for those with a beach agenda, the crystal clear water is quite irresistible..
Samothraki might not be well known for its beaches, but some are definitely worth a visit, such as Kipi in the southeast, Pahia Ammos and Vatos in the south as well as those in front of and close to the campsite.